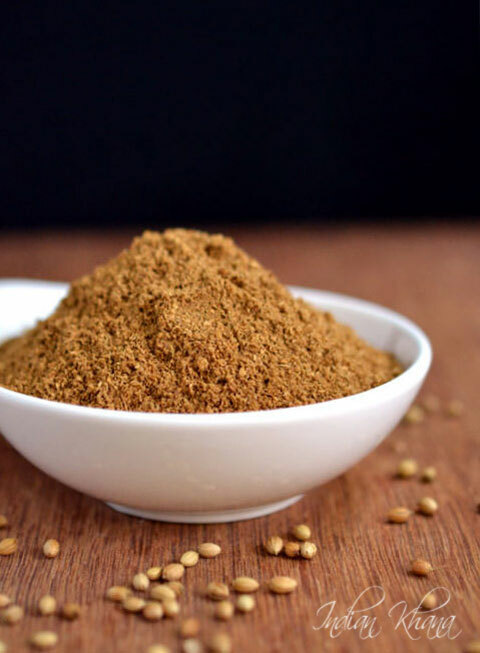 In India like most people in my home coriander seeds powder is made by giving it to mill for grinding 1 or 2 kgs at one batch which runs for real long time. After coming to Singapore I learnt this from my sister to make at home coriander seeds powder she never use to buy coriander powder but rather get coriander seeds and make powder at home herself, so I started to follow same practice too. It's so easy to make these kind of easy masala at home with minimal effect and also coriander powder stays fresh for longer time. You can give a try with 1/4 cup or 1/2 cup of seeds first but then it's almost same effect whether we make 1/2 cup or 1 cup of coriander powder. Make sure to get good quality of coriander seeds and also clean it just have a look before roasting and grinding even if you get export quality coriander seeds. You can also Sun dry coriander seeds for one day and roast just for a minute or 2. 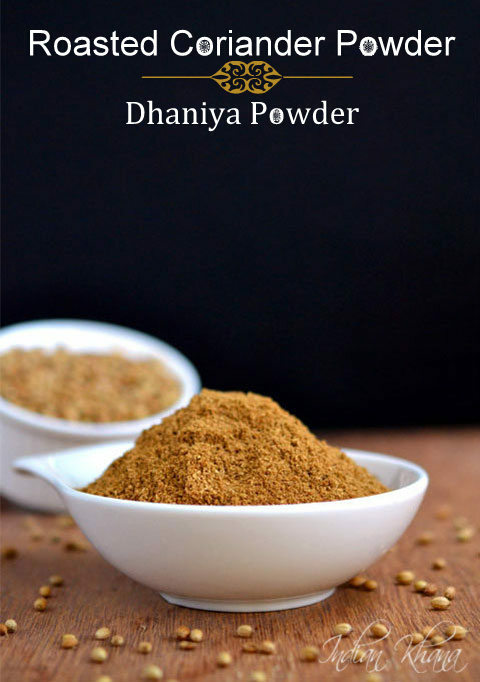 Fresh, aromatic and home made coriander seeds (dhaniya) powder recipe. 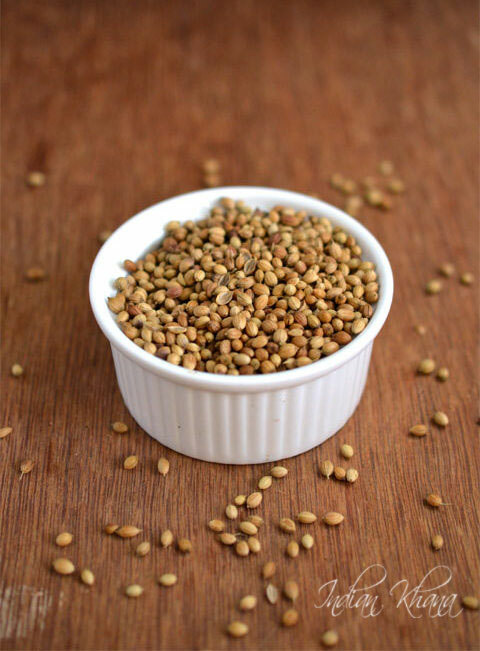 Clean coriander seeds to remove any husk or dust. Heat a pan or wok and dry roast coriander seeds until light brown and aromatic. Once frangance starts to come you can off flame. Allow to cool and grind into fine powder in a mixer or blender. Sieve powder and return leftover pieces to mixer again and grind. If using small jar do this in batches. Or if making in large quantity roast in slow flame and grind in batches. Allow powder to cool for 5 mins and store in air tight container. Use as required. 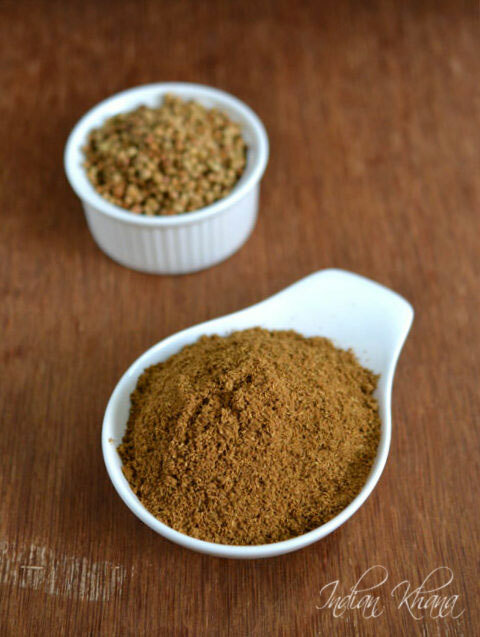 In room temperature this roasted coriander powder stays fresh for 6 to 8 months if handled properly. If made in large quantity like 1/2kg, 1 kg or 2 kg then once in a month or two keep powder under Sun light for a day and in the evening store in air tight container again to keep powder fresh for long time. You can also keep coriander seeds under Sun light for 1 day or 2-3 days if making in large quantity like 2-3 kgs. Before storing in bottle or jar make sure powder coriander cools down. 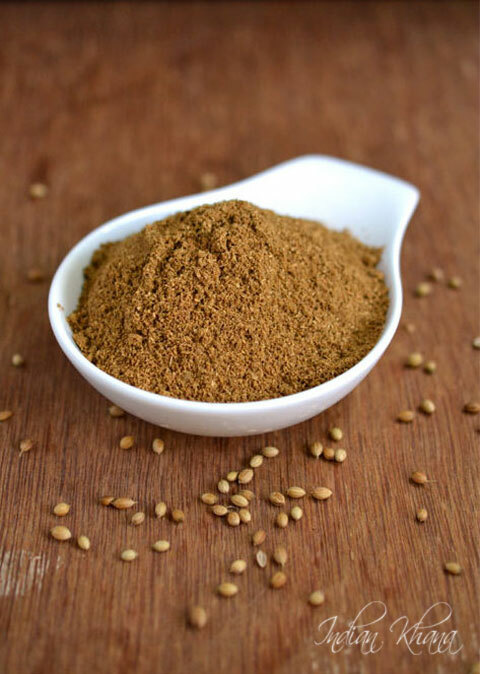 You can add 1 tbsp cumin seeds (jeera) while roasting coriander seeds and grind to make coriander-cumin powder. 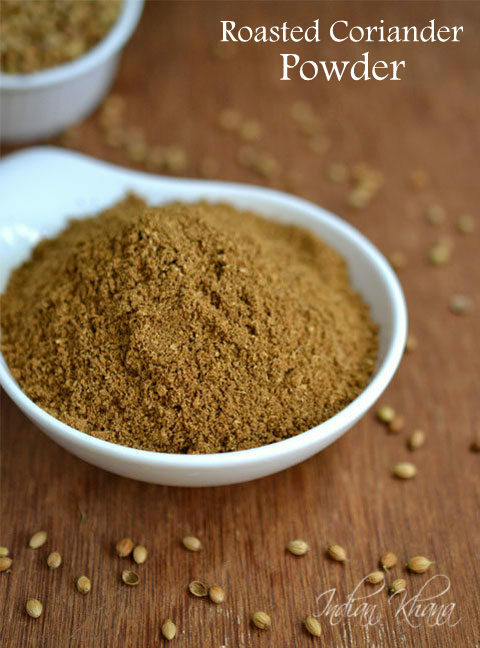 Easy, fresh and fragrant coriander seeds powder.